Every time I take away the pot from the cabinet, I pout because it is taxing for me. I used to look at cooking as merely a task that one needs to do in order to provide food for the family. 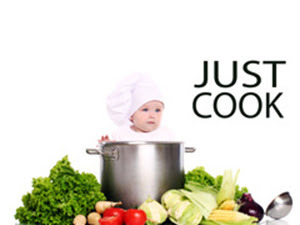 I have learned how to cook even when I was still young because my mother trained us to do household chores. But I did not really love doing it because for me it was merely a task. Things changed a lot when I had a daughter because I realized that cooking is not just a task but rather, it is a work of love to ensure good health for the family. Yes, cooking is my new found love. As a mother, I want to give my daughter healthy food. With that goal in mind, I tried to look for ways in order to learn cooking nutritious food for her. I searched various recipes online and also tried some of them but the biggest influence to my cooking is the Child Nutrition course here in Coursera. In that course, my eyes were opened to the reality that fast foods are not good for a child’s health and yes, that includes my pretty daughter. I was also introduced to easy recipes that are healthy and delicious. 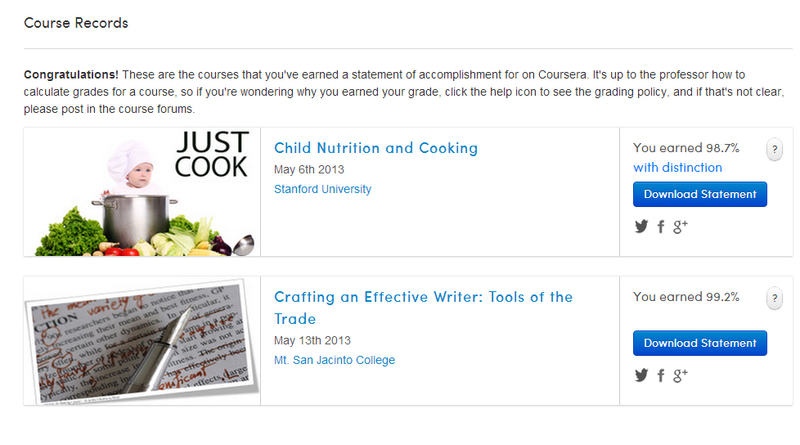 I worked on the assignments for the course and also blogged about the cooking I did. I found so much joy in doing all the healthy dishes not just for my daughter but also for the entire family. I see to it that every meal and snack that I prepare are nutritious and appears appetizing. Even if the course is over, the knowledge I gained from it is something I’ll forever treasure. Cooking is indeed fun. It is an enjoyable activity where I can combine colors, textures and flavors. It is like creating an artwork which tickles my creativity and imagination especially when plating comes. I have to think on what needs to be added to make the meal look yummier and totally appetizing. I love food that is why I love cooking! I love to eat sweets and pasta but it would certainly be healthier to eat those if you know where it came from and how it is done. There wouldn't be any fear from possible food sickness and even poison because it was made from my very own pot. Cooking is also an activity that can be spent with the people you love. Like Dr. Maya Adam, our Child Nutrition Instructor, she cooks with her kids and I think many of us are doing that too. I my case, I do it alone because my daughter is too young for that but she always want to see what is in the pot while it is cooking. Sometimes, I would cook while carrying her because she finds much joy looking at what’s cooking and would remark that it is “very hot” and “yummy”. It encourages me to cook even more! And like what I said, it is a labor of love. What moves me to cook is the love that I have for my family. Every serving is equated to the love I have for them. Every luscious meal laid on the table is a result of my efforts and care for them. Every ingredient I place on the food I prepared becomes a representation of that love. Yes, cooking is a personal and intimate thing to do for others because the plated nourishment is a plate of love, effort and creativity. This piece is an assignment I did for the Crafting an Effective Writer: Tools of the Trade course and I talked about my Child Nutrition and Cooking Course here. I'm jealous of your attitude toward cooking!! I am not a great cook and I have not made it a priority to learn to cook well. I'm hopeful that one day (soon!) I'll adapt a better attitude.